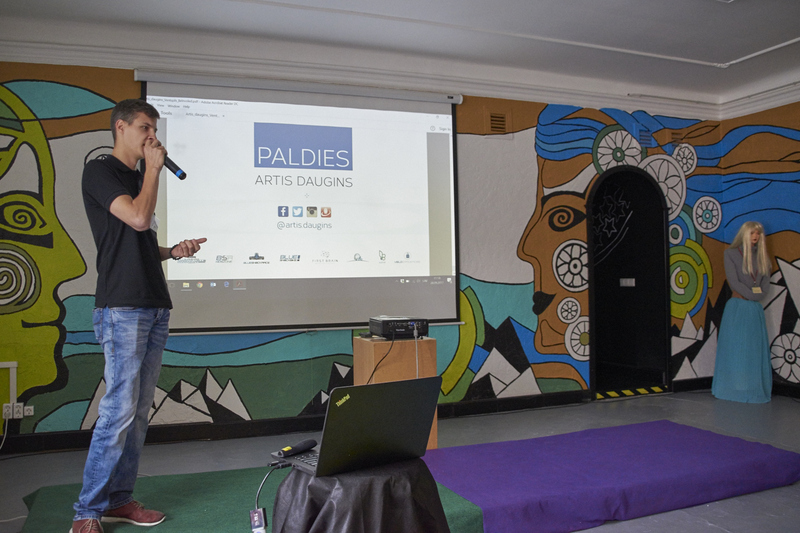 On September 28, 2017, a seminar "Get involved!” organized by the "Ventspils Youth Council", took place in Ventspils Youth House gathering more than 50 participants from Latvia and Lithuania. Seminar was held in four sessions. An introductory session was followed by a session where entrepreneurs – Artis Daugins (owner of the Blue Shock Race), owner of the confectionary "Bitīte" Oskars Bierants, owner of "Orange Bicycle Rental" Endijs Apse and wedding photographer Roberts Skutelis shared their interesting corporate stories. They talked about their experience – what encouraged them to start a business, what has been their challenges, and failures on the road to success. 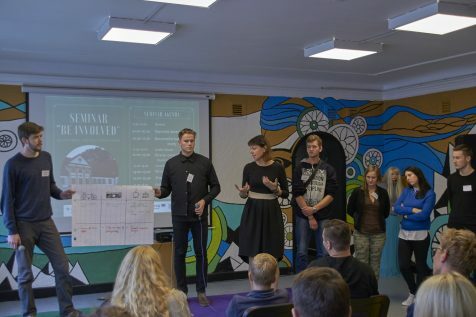 Afterwards youngsters worked in working groups and developed positive and negative development scenarios for companies, which were presented and analyzed at seminar thereupon. At the end of the event representatives of the newly established companies (SMU "Daimo", "Micropepper", SMU "Pura Lade") presented their companies. They talked about the most typical difficulties starting a business, for example, co-financing or fixed capital for business development. The seminar is part of Interreg Latvia-Lithuania LLI-143 Ready for Business / ReforB project. This project is funded by the European Union, government of Latvia and Ventspils City. This article has been produced with the financial assistance of the European Union. The contents of this article are the sole responsibility of NGO "Ventspils Youth Council" and can under no circumstances be regarded as reflecting the position of the European Union.